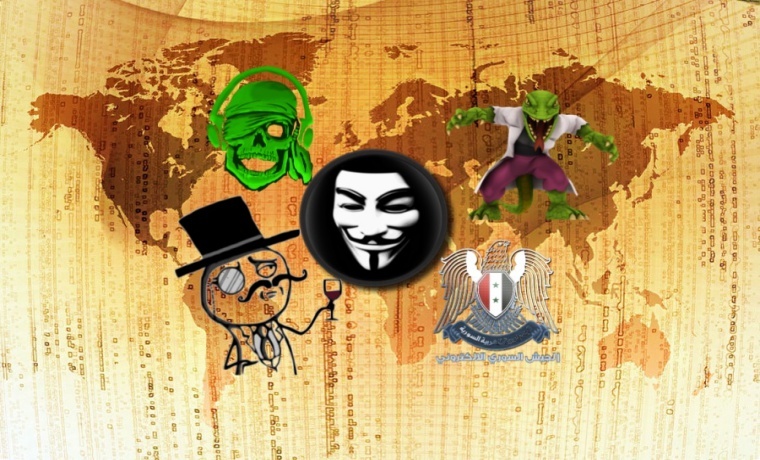 Here are top 10 hacking and hacktivist groups that changed the world like no one else. Hacking has grown massively in the past few years. 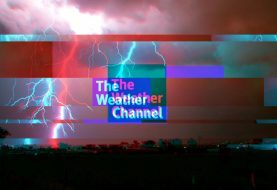 What merely started out as internet pranks on personal computers has now grown into a nexus of activities like holding large corporations to ransom over their critical data or shutting down the entire government and non-government organizations’ services for long periods. Hacking is no more a skilled coder’s hobby, for it has become a full-fledged profession. As hacking has grown, like-minded hackers have come together to work in alliance and form hacking groups, some of which are really notorious and have attracted the attention of the world. Some attract attention due to their good deeds while most attract attention for their notoriety. We cover 10 of the most notorious hacking groups of all times here. Famous with the general populace for their vendetta (pun intended) against ISIS while donning the Guy Fawkes masks, Anonymous is an open online creation group spread in many parts of the world. They stand against the injustice of all kinds, keeping with their personality of vigilantes that becomes apparent with their Guy Fawkes masks. They acted against the Church of Scientology, hacked the Pentagon, attacked Visa, PayPal and MasterCard for refusing payments to WikiLeaks, and took down some websites belonging to ISIS. Many individuals from countries like Netherlands, USA, UK, Australia, Spain, and Turkey have been arrested for being allegedly belonging to Anonymous. Lizard Squad’s list of victims includes high profile websites like the Malaysian Airlines website, where users were redirected to a page with the message “404- plane not found”, and Facebook. Although Facebook denied being hacked, their network was down for some time due to a DDoS attack by Lizard Squad. The group has also attacked Sony and Microsoft, with their members posting ISIS flags on Sony’s servers. Some members were arrested in USA and England following their Xbox and PlayStation hacks. One of the most notorious groups of previous years, The Level Seven Crew was involved in some big hacks in 1999 but their functioning stopped in 2000. They were allegedly inspired by the seventh level of hell according to Dante’s Inferno, which is the violent level. Their list of victims includes The First American National Bank, NASA, the US Embassy in China’s Website, and Sheraton Hotel. Founded in Berlin in 1980 and one of the largest European Hacking groups, CCC is one of the good hacking groups of the world that has been teaching the common public about technology since the 1980s. The working of CCC is directed towards uncovering security flaws in major government and non-government services. They said that they had to consult a lot of legal advisors before ascertaining what is illegal hacking and what the grey area of legality in hacking is. They clarified their intentions when they stole 134,000 marks from a bank in Hamburg using their Bildschirmtext page. They showed their true intentions by returning back the entire money after exposing the security flaw in the website. However, they have been found guilty of selling U.S corporations’ and government’s source code to the KGB. This group, short for Lulz Security, was founded as a spinoff of Anonymous after the 2011 HBGarry Hack. Their slogan said “laughing at your security since 2011”. Their existence was announced to the world when they first hacked Fox.com, followed by Sony Pictures, in 2011. After that, LulzSec took down CIA’s website as well. However, in 2012, the group members were arrested by the FBI because their leader, named Sabu, gave them away. Syrian Electronic Army aka SEA, is one of the groups that has a strict purpose of their functioning, which is to stamp out opposition groups in Syria. They are widely accredited to be active supporters of Syrian president Bashar al-Assad and identify themselves as active Syrian youths who will not stand by idly to watch massive distortion of facts about recent uprisings in Syria. Their activity is routinely marked by posting of the Syrian flag on a victim’s website, with the group using techniques like phishing, DDoS attacks, spamming, and malware. They have targeted Twitter accounts as well as Facebook pages of influential people like Barack Obama and French President Nicolas Sarkozy. This was a hacking group that was started by a street-gang member named Patrick Gregory. The group’s activity includes hacking some 115 websites and destroying their data leading to millions of dollars’ worth damage. Although Gregory took to computers, his group behaved in a similar way a street gang does, with the group regularly writing “global hell will not die” on US Army’s website. The NHCP Group is believed to have been found in China in 1994, the group is supposedly the one who funded the People’s Liberation Army. Their leader, Tan Dailin, was also widely believed to be working for the Chinese army. This group was started by a 16-year in old in 2010 who used the pseudonym Trick. The activity of this group included hacking into NATO, Facebook, Daily Mail UK site, the English Defence League, which included Tony Blair’s account. Although they supposedly broke up in 2012, they resurfaced in 2015 as a white-hat security research group. Tarh Andishan is an Iranian hacking group that is comprised of a group of 20 highly skilled and talented hackers. It is believed that the group, based in Tehran, formed due to the Stuxnet worm virus which, according to Iran, was a joint effort by US and Israeli forces against them. Their activity ranges far and wide, with the group being believed by many to wanting to control all the web-based systems of the world. Their victims consist of many security systems as well as airline gates. Their most notorious activity, though, is believed to be Operation Cleaver, which is an operation targeting military, energy and utilities, oil and gas, airlines, airports, transportation, and hospitals. More than 50 entities in over 16 countries including China, USA, Saudi Arabia, India, Israel, France, Germany, and England have been hit by this campaign. Tarh Andishan uses techniques like SQL injection attacks, self-propagating software, backdoors, etc. The hacking groups discussed in this article are just some of the many hacking groups that are functioning or are known to have functioned at some point of time in the world. Their activity shows that hacking is a serious issue, with some reports claiming that more than $575 trillion has been lost as damage due to cyber crime or activities of hacktivists. While some of these hacking groups have a social or political agenda behind their formation and activities, others are just groups of people who are out there to instil fear in people. While some, like Anonymous, have gained popularity with people for targeting terrorist outfits like ISIS, others have received widespread hate and criticism for rendering public services helpless only for their personal gain. Their stamping out is like cutting a tree with seeds in its flowers; the cutting of one tree sprouts many others due to the spilling of the seeds.